By buying this product you can collect up to 70 loyalty points. Your cart will total 70 loyalty points that can be converted into a voucher of € 14,00. 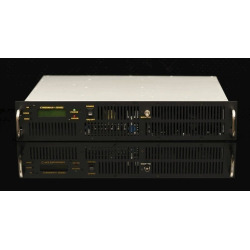 This package is based on our CYBER MAX FM+ rack mounted FM transmitter series for demanding broadcasters, operating in the whole band II, from 87.5 to 108 MHz. 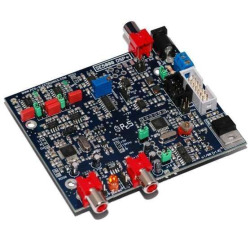 This is a small, but well built and reliable package, with high quality transmitter (DSP stereo and RDS options), antenna, coaxial cable, and connectors. A perfect FM transmitter for a small community radio station, medium size radio station, a backup unit for emergency, religious radio or an exciter for a larger 500W, 1KW, 2KW or even 250KW FM amplifier. Also very suitable for portable or improvized installations and small radio stations in Africa and other remote locations, special occasions, drive-in cinema wireless sound distribution, translation, tourism.... . Protected with Temp and SWR protection. The best value for your money. Includes everything, even coaxial cable and antenna. It is never easy to predict range. You can expect from 5km to 40km. More in very good conditions. 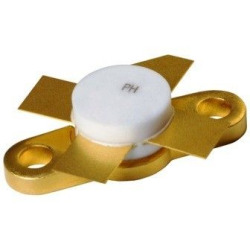 This depends a lot on terrain configuration, type of antenna and especially the location of the antenna, coaxial cable quality and length and of course quality of receivers. Check this link to get a rough idea of factors involved, also check the table below. WHAT ARE THESE UPGRADE OPTIONS? DSP Stereo encoder; Adds profesional grade DSP stereo encoder with XLR inputs - your unit gains full stereo capability, we install these for you.